With virtual assistants answering our emails and robots replacing humans on manufacturing assembly lines, mass unemployment due to widespread automation seems imminent. But it is easy to forget amid our growing unease that these systems are not “all-knowing” and fully competent. As many of us have observed in our interactions with artificial intelligence, these systems perform repetitive, narrowly defined tasks very well but are quickly stymied when asked to go off script — often to great comical effect. 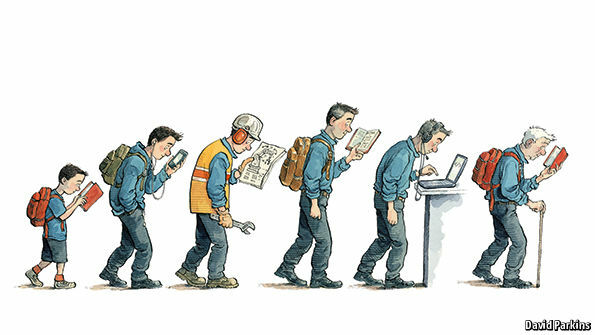 As technological advances eliminate historic roles, previously unimaginable jobs will arise in the new economic reality. We combine these two ideas to map out potential new jobs that may arise in the highly automated economy of 2030. Despite many claims to the contrary, designing a fully autonomous system is incredibly complex and remains far out of reach. For now, training a human is still much cheaper than developing robot replacement. Machines are eating humans’ job talents. And it’s not just about jobs that are repetitive and low-skill. 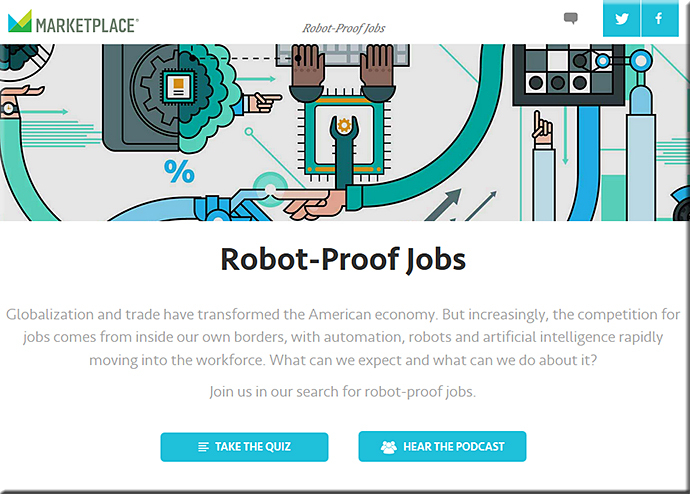 Automation, robotics, algorithms and artificial intelligence (AI) in recent times have shown they can do equal or sometimes even better work than humans who are dermatologists, insurance claims adjusters, lawyers, seismic testers in oil fields, sports journalists and financial reporters, crew members on guided-missile destroyers, hiring managers, psychological testers, retail salespeople, and border patrol agents. Moreover, there is growing anxiety that technology developments on the near horizon will crush the jobs of the millions who drive cars and trucks, analyze medical tests and data, perform middle management chores, dispense medicine, trade stocks and evaluate markets, fight on battlefields, perform government functions, and even replace those who program software – that is, the creators of algorithms. Now if only we could get our accrediting methods/agencies up to speed (i.e., to become far more responsive), this could be a very valuable service to provide for prospective students in the future. We ultimately need to help today’s workers—drivers, factory workers, and beyond—discover where demand for skills will be in five to 10 years and help them gain the necessary expertise and experience to do them well. Historically, wholesale job retraining has been challenging to scale, but the inexorable nature of this transition demands that we try to help them be productive in an even more digitized world economy. We already have a skills gap; we need to figure out how to digitize and skill those workers to match them with the demand for available jobs. There is a collective dialogue that should be engaged now so we can create meaningful, fulfilling, and productive opportunities for all. 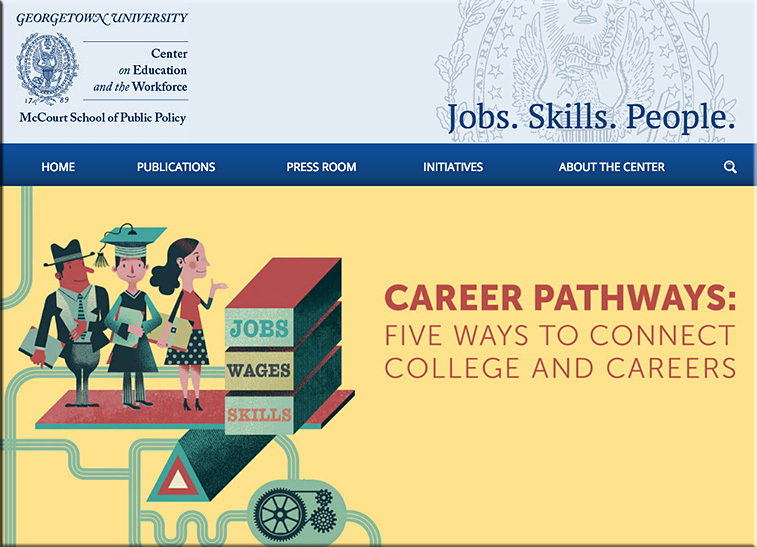 Career Pathways: Five Ways to Connect College and Careers calls for states to help students, their families, and employers unpack the meaning of postsecondary credentials and assess their value in the labor market. If students are investing more to go to college, they need to have answers to basic questions about the value of postsecondary education. They need better information to make decisions that have lifelong economic consequences. Getting a college education is one of the biggest investments people will make in their lives, but the growing complexity of today’s economy makes it difficult for higher education to deliver efficiency and consistent quality. Today’s economy is more intricate than those of decades past. (Washington, D.C., July 11, 2017) — A new report from the Georgetown University Center on Education and the Workforce (Georgetown Center), Career Pathways: Five Ways to Connect College and Careers, calls for states to help students, their families, and employers unpack the meaning of postsecondary credentials and assess their value in the labor market. The variety of postsecondary credentials, providers, and online delivery mechanisms has also multiplied rapidly in recent years, underscoring the need for common, measurable outcomes. College graduates are also showing buyer’s remorse. While they are generally happy with their decision to attend college, more than half would choose a different major, go to a different college, or pursue a different postsecondary credential if they had a chance. The Georgetown study points out that the lack of information drives the higher education market toward mediocrity. The report argues that postsecondary education and training needs to be more closely aligned to careers to better equip learners and workers with the skills they need to succeed in the 21st century economy and close the skills gap. The stakes couldn’t be higher for students to make the right decisions. Since 1980, tuition and fees at public four year colleges and universities have grown 19 times faster than family incomes. Students and families want — and need — to know the value they are getting for their investment. The perfect storm is gathering around the need to increase transparency around college and careers. And in accordance with how public policy generally comes about, it might just happen. The University of Melbourne is all set to become the first Australian institution to trial blockchain technology. Last week, the university announced that it is teaming up with Learning Machine, a US-based company associated with the Massachusetts Institute of Technology (MIT) Media Lab, to pilot a blockchain based micro-credentialing system, which will enable employers to verify those credentials quickly. Speaking at the annual meeting of a data portability consortium in Melbourne last week, Pro Vice-Chancellor (Teaching and Learning) Professor Gregor Kennedy said the decision to pilot Learning Machine’s blockchain platform for micro-credentialing is based on supporting new types of learning recognition that are increasingly being demanded by students and employers in a globalised, digital world. What are the ramifications for higher education re: the *massive* changes beginning to take place due to AI, automation, & robotics? The recent pieces below made me once again reflect on the massive changes that are quickly approaching — and in some cases are already here — for a variety of nations throughout the world. What the potential ramifications for higher education might be regarding these changes that are just starting to take place in the workplace due to artificial intelligence (i.e., the increasing use of algorithms, machine learning, and deep learning, etc. ), automation, & robotics? How should we, as a nation, prepare for these massive changes so that there isn’t civil unrest due to soaring inequality and unemployment? When even our local newspaper is picking up on this trend, you know it is real and has some significance to it. immediately need to begin planning for? Initiating? in the way(s) that we accredit new programs? Lifelong learning — higher ed needs to put more emphasis on microlearning, heutagogy, and delivering constant/up-to-date streams of content and learning experiences. This could happen via the addition/use of smaller learning hubs, some even makeshift learning hubs that are taking place at locations that these institutions don’t even own…like your local Starbucks. Traditional institutions of higher education have not been nearly as responsive to change as they have needed to be; this opens the door to alternatives. There’s a limited (and closing) window of time left to become more nimble and responsive before these alternatives majorly disrupt the current world of higher education. 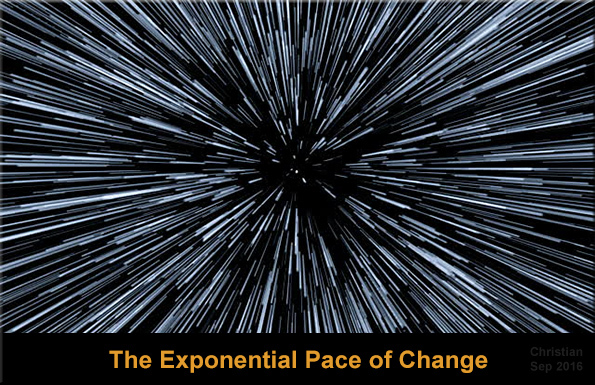 Massive changes spurred by new technologies such as artificial intelligence, mobile platforms, sensors and social collaboration have revolutionized the way we live, work and communicate – and the pace is only accelerating. Robots and cognitive technologies are making steady advances, particularly in jobs and tasks that follow set, standardized rules and logic. This reinforces a critical challenge for business and HR leaders—namely, the need to design, source, and manage the future of work. Digital workforce: How can organizations drive new management practices, a culture of innovation and sharing, and a set of talent practices that facilitate a new network-based organization? What are the ramifications of these graphs — and this new trajectory/pace that we’re on — in terms of how we accredit new programs? It seems to me that we are right on the precipice of major changes — throughout the globe — that are being introduced by the growing use and presence of automation, robotics, and artificial intelligence/machine learning/deep learning, as well as other emerging technologies. But it’s not just the existence of these technologies, but it’s also that the pace of adoption of these technologies continues to increase. These things made me wonder….what are the ramifications of the graphs below — and this new trajectory/pace of change that we’re on — for how we accredit new programs within higher education? For me, it speaks to the need for those of us who are working within higher education to be more responsive, and we need to increase our efforts to provide more lifelong learning opportunities. People are going to need to reinvent themselves over and over again. In order for higher education to be of the utmost service to people, the time that it takes to accredit a program must be greatly reduced in cost and in time. 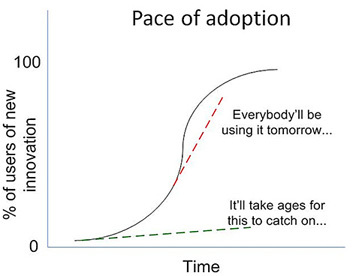 To end the metaphor, what I am simply trying to say is that schools cannot afford to evolve at ¼ of the pace the world is around it and not face the possibility of becoming dangerously irrelevant. So, to answer the question – do I think the classrooms of 2040 look like the classrooms of today? Yes, I think they look more like them than they do not. Unfortunately, in my opinion, that is not the way to best serve our kids in our ever-changing world. Let me be clear, great teaching and instruction has not fundamentally changed in the past 2000 years and will not in the next 30. The context of learning and doing our best to meet the needs of the society we are preparing kids for is how and why schools must be revolutionized, not simply evolve at their own pace. Nearly 4 out of 10 American jobs may be replaced through automation by the early 2030s, according to a new report by Price Waterhouse Cooper (PwC). In the report, the United States was viewed as the country most likely to lost jobs through automation–ahead of the UK, Germany, and Japan. This is probably not what the current administration had in mind with an “America First” policy. I greatly enjoyed this project and appreciated being able to work with Rhea, Susan, Gerard, Marci, and Phil. It is easy to say that people need to keep learning throughout their careers. The practicalities are daunting. WHEN education fails to keep pace with technology, the result is inequality. Without the skills to stay useful as innovations arrive, workers suffer—and if enough of them fall behind, society starts to fall apart. That fundamental insight seized reformers in the Industrial Revolution, heralding state-funded universal schooling. Later, automation in factories and offices called forth a surge in college graduates. The combination of education and innovation, spread over decades, led to a remarkable flowering of prosperity. Today robotics and artificial intelligence call for another education revolution. This time, however, working lives are so lengthy and so fast-changing that simply cramming more schooling in at the start is not enough. People must also be able to acquire new skills throughout their careers. Unfortunately, as our special report in this issue sets out, the lifelong learning that exists today mainly benefits high achievers—and is therefore more likely to exacerbate inequality than diminish it. If 21st-century economies are not to create a massive underclass, policymakers urgently need to work out how to help all their citizens learn while they earn. So far, their ambition has fallen pitifully short. At the same time on-the-job training is shrinking. In America and Britain it has fallen by roughly half in the past two decades. 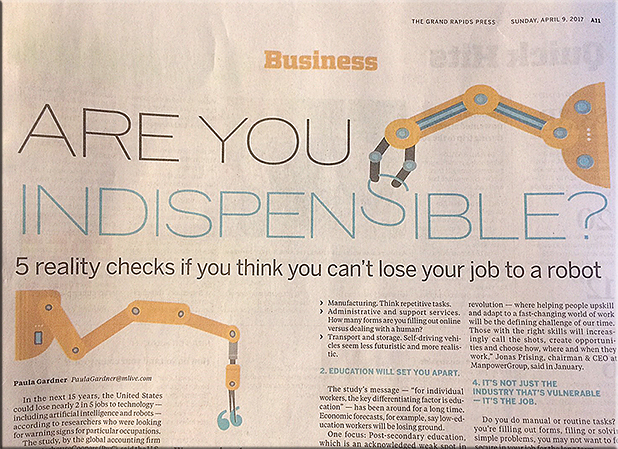 Self-employment is spreading, leaving more people to take responsibility for their own skills. Taking time out later in life to pursue a formal qualification is an option, but it costs money and most colleges are geared towards youngsters. The classic model of education—a burst at the start and top-ups through company training—is breaking down. One reason is the need for new, and constantly updated, skills. To remain competitive, and to give low- and high-skilled workers alike the best chance of success, economies need to offer training and career-focused education throughout people’s working lives. This special report will chart some of the efforts being made to connect education and employment in new ways, both by smoothing entry into the labour force and by enabling people to learn new skills throughout their careers. Many of these initiatives are still embryonic, but they offer a glimpse into the future and a guide to the problems raised by lifelong reskilling. Individuals, too, increasingly seem to accept the need for continuous rebooting. Carnegie Mellon, MIT Media Lab, and Learning Machine host groundbreaking conversation about open standards for blockchain credentialing in higher education and beyond. Leaders from Learning Machine, MIT Media Lab, and Carnegie Mellon University engaged in a groundbreaking conversation with a packed house of EdTech vendors and education leaders at the annual EDUCAUSE conference. Together, they introduced Blockcerts, the open standard for issuing secure, verifiable digital credentials. Hosted by Learning Machine CEO, Chris Jagers, the panel brought together research from the MIT Media Lab (Principal Engineer Kim Duffy), real-world perspective from the Registrar of Carnegie Mellon University (John Papinchak), implementation details from Learning Machine leadership (COO Dan Hughes), and the societal implications of distributed technologies (Learning Machine Anthropologist Natalie Smolenski). The panelists described a future in which learners are able to act as their own lifelong registrars with blockchain credentialing. Before we dive into details that technology, let’s cover some background. Even though schools moved from sheepskin to digital records a while ago, schools are still acting as the sole record keepers for student information. If a student wants to access or share their official records, they have to engage in a slow, complicated, and often expensive process. And so, for the most part, those records aren’t used much after graduation, nor built upon. 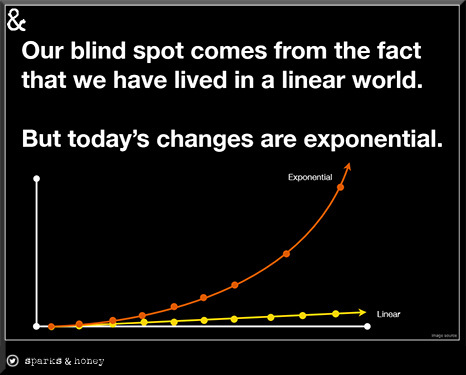 Additionally, education is changing. Online learning and competency-based programs are rising in popularity. And this is magnified by a rapidly growing number of accredited education providers that expand far beyond traditional schools. This is causing a proliferation of educational claims that are hard to manage and it raises many new questions, both in terms of policy and technology. And what I hope to explain today is how a new technical infrastructure has emerged that enables students to be part of the solution by acting as their own lifelong registrar.